Incredible, 5th floor, 1545 sq. ft. SE corner unit with city views. Does not face the freeway. 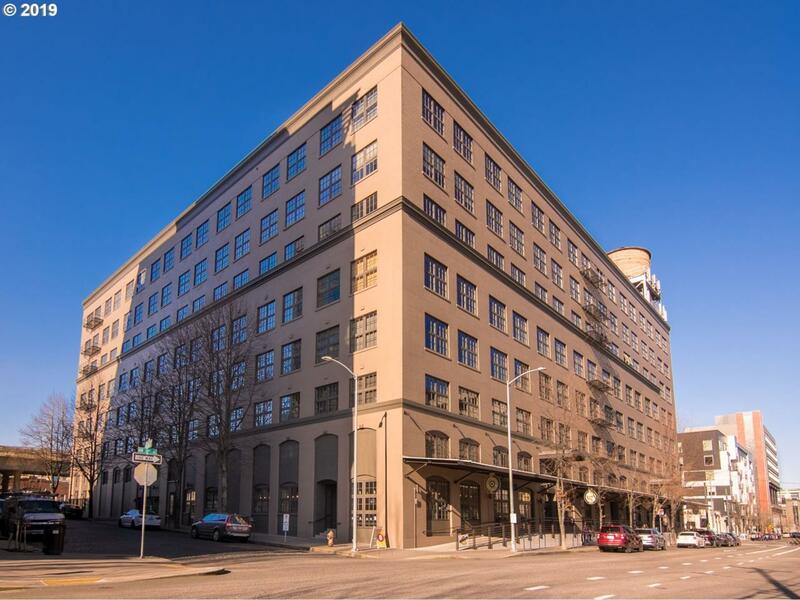 Open, loft style with two bedroom spaces, two full BA, office area, 18 foot ceilings, cork floors, lots of built-ins and incredible light from two walls of windows. 1 deeded parking space in secure parking area. Large storage space is adjacent to parking space. On the streetcar line, walk to grocery store, restaurants, shops and much more. Condo Pet Policies Cats/Dogs "Ok"